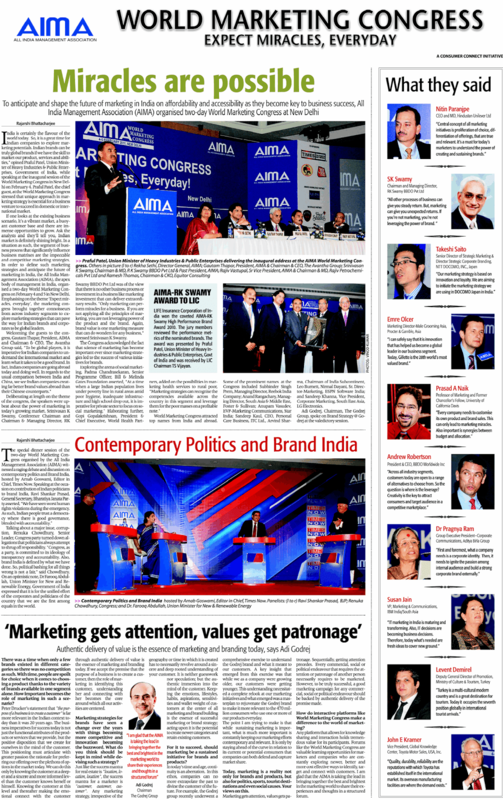 This is the media coverage that appeared in the Economic Times, dated 7-Feb-11, Mon and is from the World Marketing Congress held on the 4th & 5th of February in Delhi. 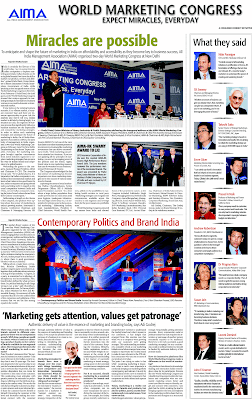 Ramesh Jude Thomas from EQUiTOR Management Consulting spoke in this platform. Besides, EQUiTOR with its reputation as the pioneers of Brand Valuations in India, were chosen as the knowledge partners of the R.K.Swamy High Performance Brand Award which was part of this platform as well. EQUiTOR has used business data to analyse the performance of the brands that were nominated. In brief, as we have always believed in EQUiTOR, brands are business assets that need to be measured, managed and rewarded.